Traveling has never been cheap. In tough times, more and more people are choosing to stay home. Luckily, these very same people are finding that doing so may be more enjoyable in many ways. Instead of spending money to go somewhere else for a few days, they now see more value in building up their own homes. Artificial turf plays a key role in this mindset. Across the country, outdoor living spaces are part of a major new landscaping trend. Homeowners are adding couches, fire pits, and lighting features to their lawns. The result is outdoor areas that offer a daily escape. Thanks to artificial turf, people can enjoy relaxing in these spaces with family and friends all year long. Real grass lawns require constant upkeep. Some homeowners don’t have the time or money for that type of commitment. With artificial turf, which involves little landscape care, outdoor spaces are easy to install and maintain. People in the SF Bay Area, in particular, have found that working with experts like those at Watersavers Turf makes the process of creating a beautiful property a lot simpler. Having people over to spend time outdoors is a trend that is picking up steam at an annual growth of 5.3% per year. It’s ­­projected to stay that way through the year 2019. By that point, experts believe outdoor living products will be a $9 billion industry. It’s not just about a desire to spend more time outdoors. Many agree that people are trying to use less water, and take care of the planet. Synthetic turf helps in all of these areas. Synthetic turf lets property owners add grassy spaces anywhere on their property. Unlike real grass, synthetic turf doesn’t need to be watered. This saves homeowners money and is better for the planet. 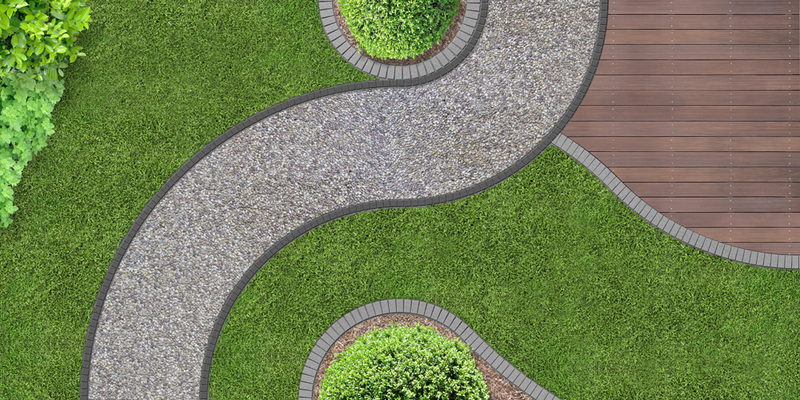 With this option available, people are free to pursue new landscaping design ideas. Some of the major new design trends that have taken hold include the addition of outdoor kitchens and the use of all-weather materials. Decorative features like fire pits and lighting are being added to lawns as well. Homeowners aren’t just adding features for their own pleasure, though. People are inviting family and friends over. More often, they’re bringing the party outdoors. This is especially the case when the warmer weather strikes. In fact, some of these spaces have come to look like outdoor rooms, complete with couches and rugs. The creation of outdoor rooms adds to the overall area of livable space in a home, boosting its value. Elegant lighting features complete the look and feel. New homes now often include outdoor these spaces now. Large decks, covered patios, and outdoor fire pits are common in new homes now. Some think an emphasis on healthy living accounts for much of this new trend. Then again, the desire to live a healthy life isn’t the only factor at play here. Homeowner Mike Burbridge, for example, has been featured as someone making use of these spaces. He explains how neighbors often comment on how green and gorgeous his property is. What they don’t realize, he says, is that he opts to use fake grass instead of real grass. This makes installing these types of landscaping features much easier. The whole appeal of outdoor spaces is relaxation, after all. Real grass lawns require too much upkeep, though. Across the country, homeowners have found that faux grass lets them enjoy all the benefits of spending time outside without having to spend extra time (and money) on maintenance. On top of that, it’s a very freeing option. When it comes to real grass, sloped surfaces can make it tough to plant a garden. Fake grass makes the process a lot easier. Celebrities are also getting in on the craze. The homes of movie stars are usually the best example of the hottest new design trends in landscaping. Stars like Jessica Alba have spoken about how fake grass allows them to build dream homes and help the planet at the same time. You don’t need to be Jessica Alba to add these types of living spaces to your home. Anyone can install turf around their lawn. Doing so will not only add some fun to your life but boost the value of your home. The experts at Watersavers Turf have already helped many find the best turf products for their homes. To learn more about what we have to offer, visit one of our SF Bay Area locations, request a free quote, or call 844-974-8873.